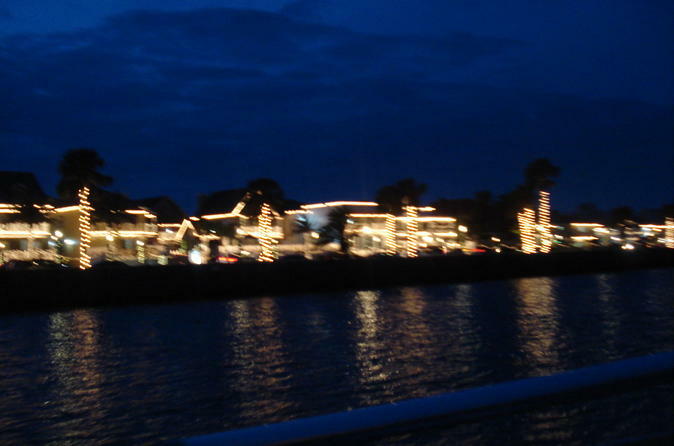 St. Augustine’s original “frightseeing” tour is an evening of fear and fun. Board Ghosts and Gravestones' Trolley of the Doomed for a spooky ride through St. Augustine's sinister past. Listen to stories of the ghosts and ghouls believed to still wander the streets of the town as you pass haunted hot spots. Feel your blood run cold as you visit the Old Jail, the site of countless strange occurrences over the years, and keep an eye out for malicious spirits at the Old Drug Store. The frights continue at Potter’s Wax Museum’s Chamber of Horrors, where retellings of gruesome executions are sure to lead to shivers. Expect a tour so scary, it should come with a warning. Tour departs from Old Town Trolley Welcome Center, 1305 N. Ponce de Leon Blvd. Starting from San Marco Avenue, climb aboard the Trolley of the Doomed for an experience unlike any other. Uncover St Augustine’s darkest secrets and hear the stories of those lost souls who many locals believe still wander the streets of this historic town. 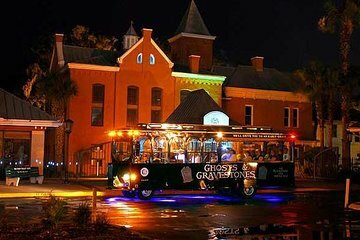 The trolley takes you to each destination, where you can walk around and explore some famous ghost haunts. Visit the Old Jail, which is listed on the Florida and national registries of haunted places. Erected in 1891, the jail imprisoned criminals for more than 60 years, and has been the site of countless supernatural occurrences over the years. Visitors have reported cold spots, unusual odors, loud banging noises in the distance, strange orbs of light and even apparitions while visiting here. Maybe you’ll see the ghost of Charlie Powell, who was never set free, even after he served his time. Other criminals met their end on the hangman's noose, and their malicious energy allegedly remains. The award-winning tour also stops at the Old Drug Store, which has been plagued by hauntings since it opened in 1887. Then, visit Potter’s Wax Museum’s Chamber of Horrors, and hear the gruesome tale of famed pirate Andrew Ransom’s execution. Are these places really haunted? Answer that question for yourself with this tour. Very low budget tour that was rushed and not very well guided. More of a theatrical show. Disappointing!!! Fun!!! Good for all age groups! this was such a fun tour. the history of the town and the atmosphere was great! I would recommend to adults and older children. it might be a little scary for small children! I didn't realize that most of the time would be off the bus touring the old jail and the wax museum. But if you haven't been to the old jail before, it was fun. great tour great tour guides. Informative but cheesy. Both the guide and the driver were great. It was OK. Very informative but I didn't feel it was really a haunted tour. Nothing even close to scary , just a tour at night of what we saw during the day! We had a great time. The cast put on an impeccable performance. History rich information. Family friendly.